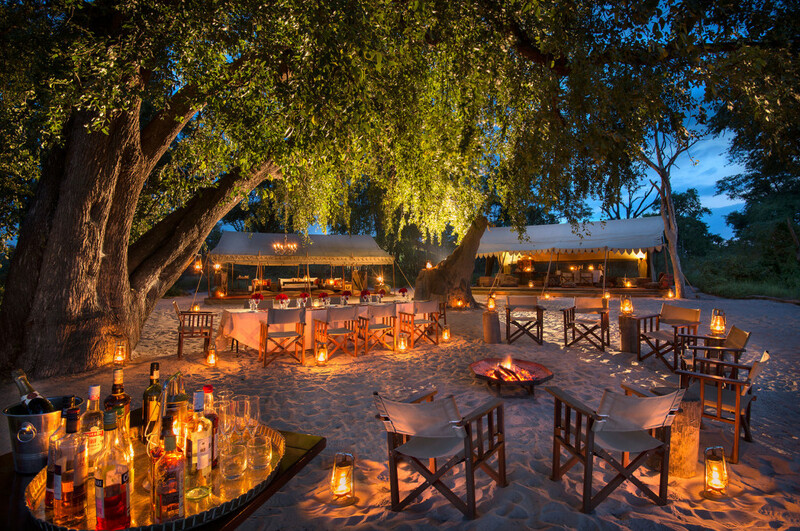 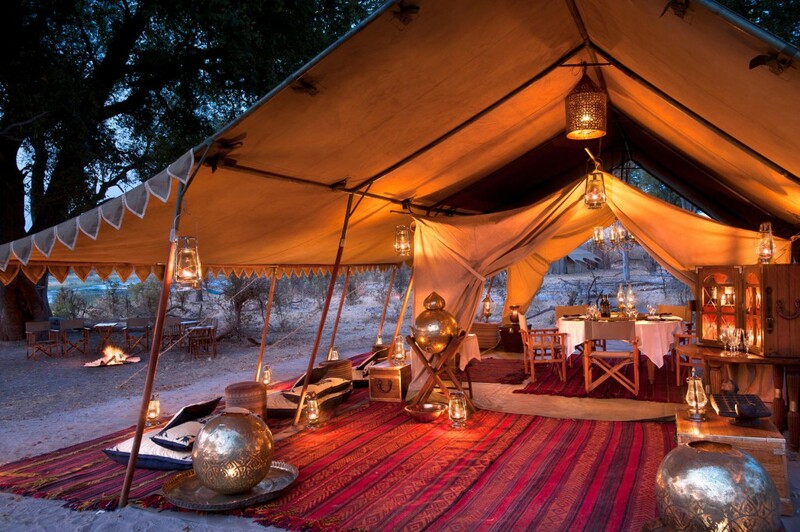 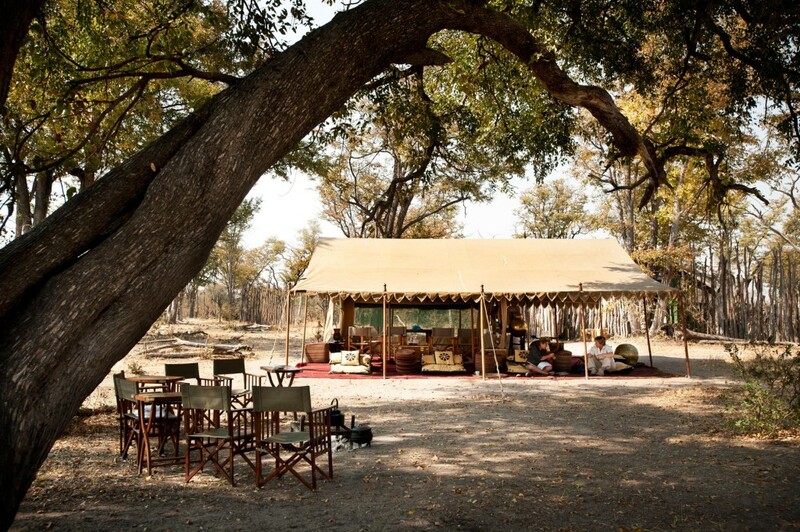 Selinda Explorers Camp is remote, stylish and very much like an early century luxury mobile camp from East Africa. 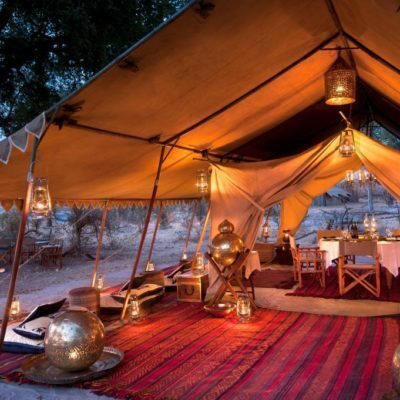 It is however, permanent. 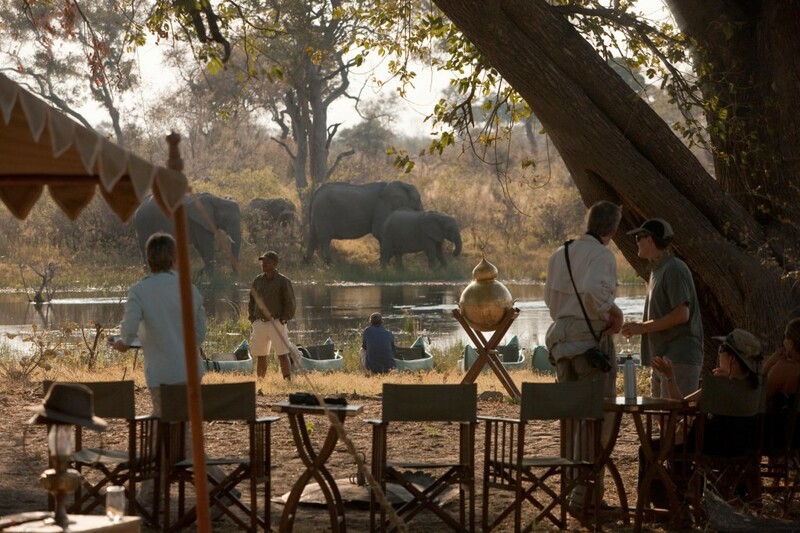 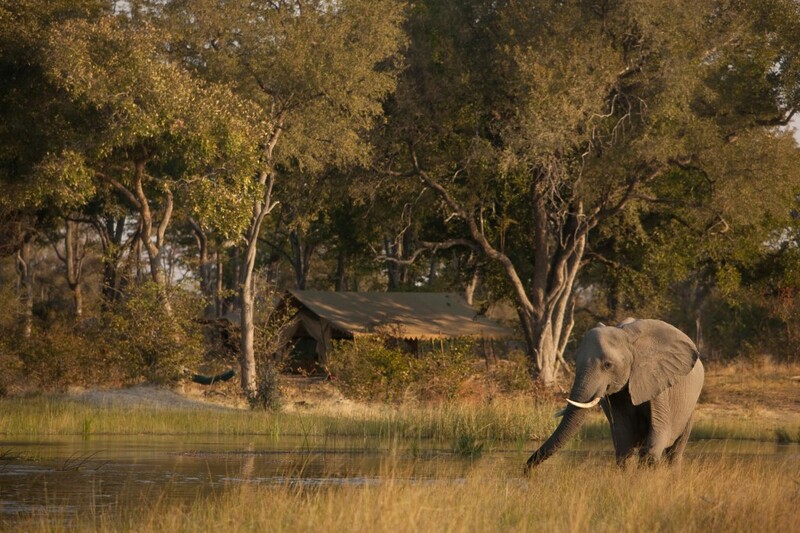 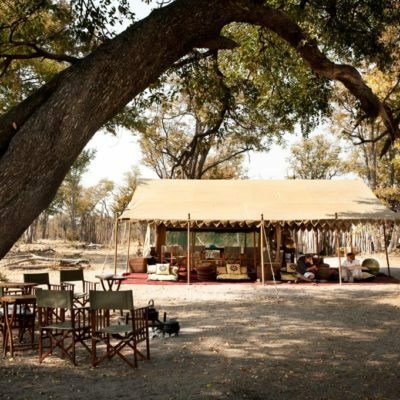 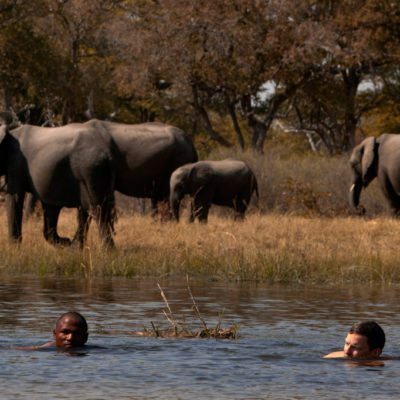 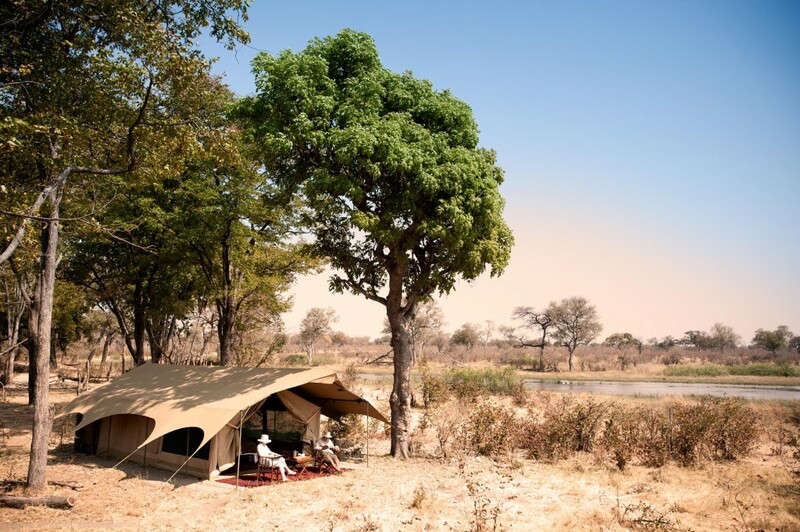 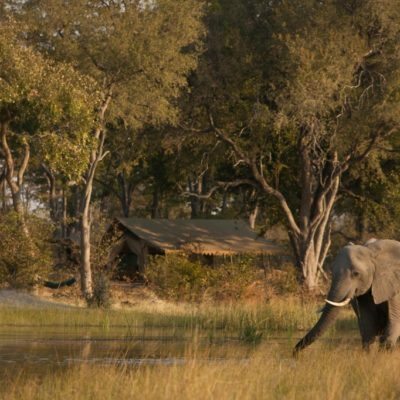 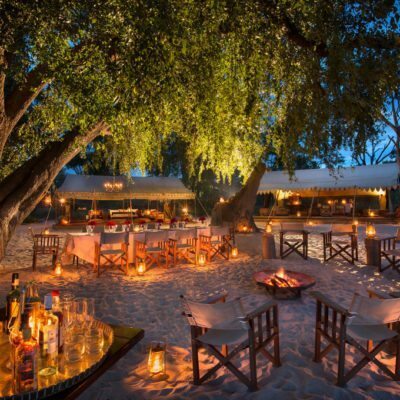 It is the third and newest camp in the popular Selinda Concession (along with Selinda Camp and Zarafa). 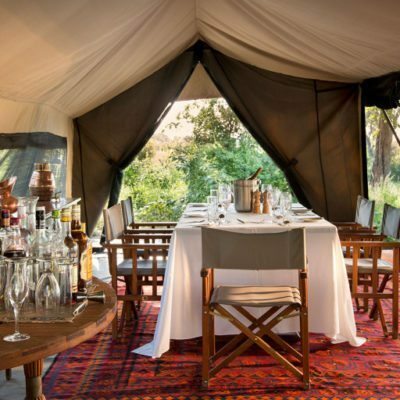 What you get here, is a more authentic wilderness experience than the other lodges in the reserve, but with more than enough “old safari style” luxury. 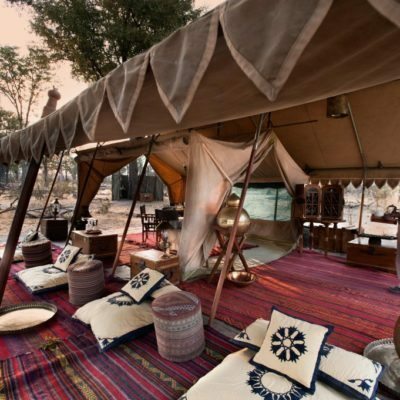 Further, we like the camp because it is intimate, with only 4 tents. 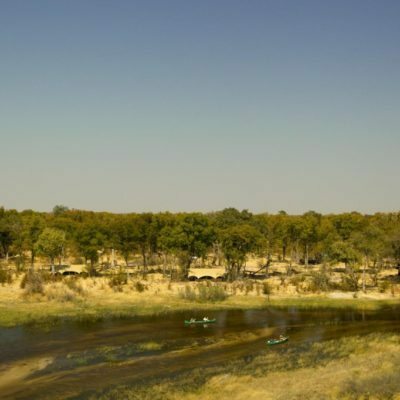 You can fly into the Selinda Reserve from Maun, Kasane or any other bush airstrip. 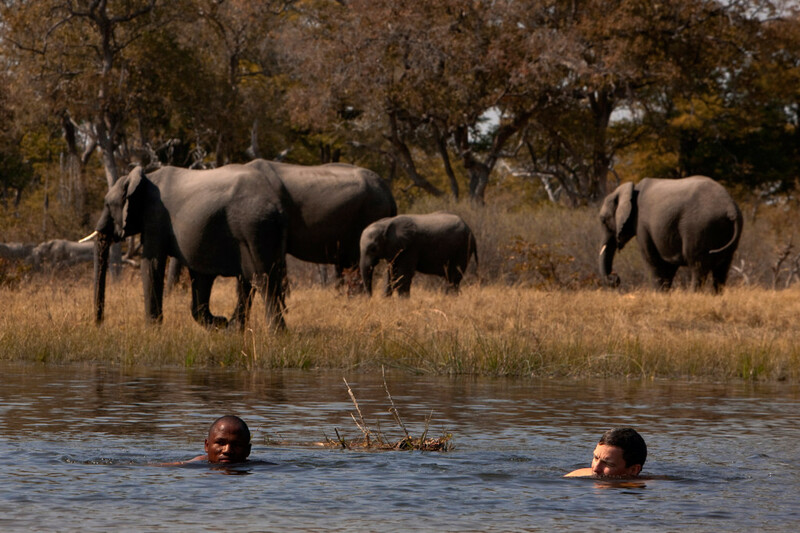 The activities here are excellent and varied. 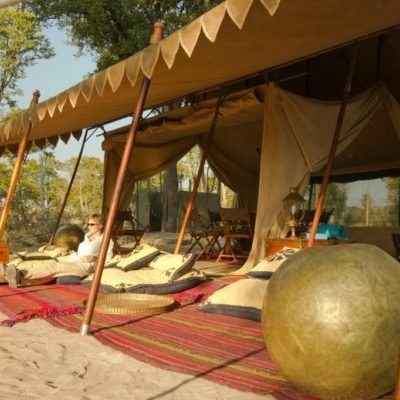 You should not book this camp for the vehicle activities it offers – rather you should take advantage of the non-motorised options like walking and canoeing. 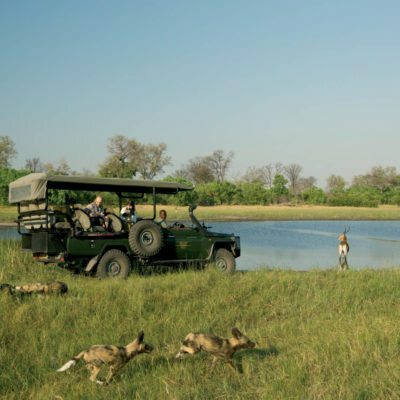 The game drives are good, but why waste an opportunity to go walking where there simply are no roads – get away from the busier parts of the concession. 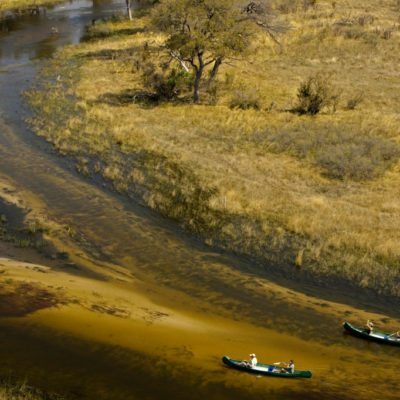 The real highlight of a stay here however, is to go canoeing on the Selinda channel. 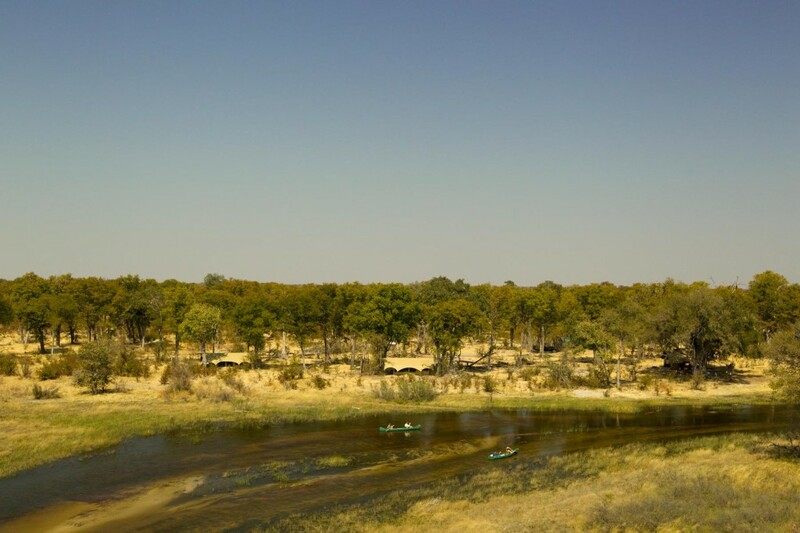 The canoes sit right in front of the camp, ready to go exploring. 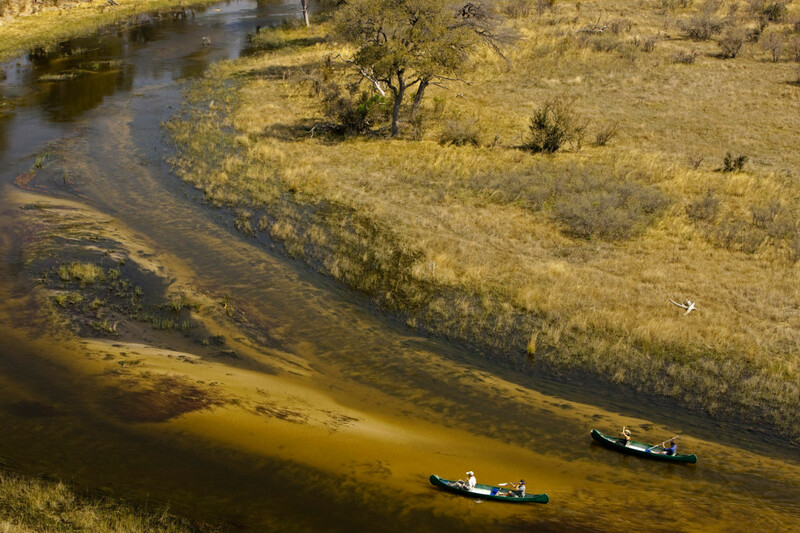 Don’t be foolish and let this opportunity pass you by – this river rarely flows, so take advantage and go canoe! 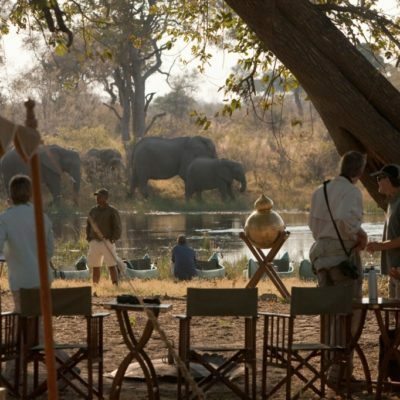 The quality of the guiding is rather good here, as most specialist walking and canoeing guides tend to be authentic naturalists. 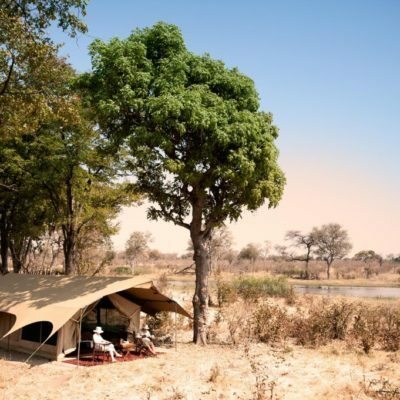 This camp is also a very good option to book after completing the 4 night Selinda Canoe Trail, which ends at the Selinda Explorers Camp jetty. 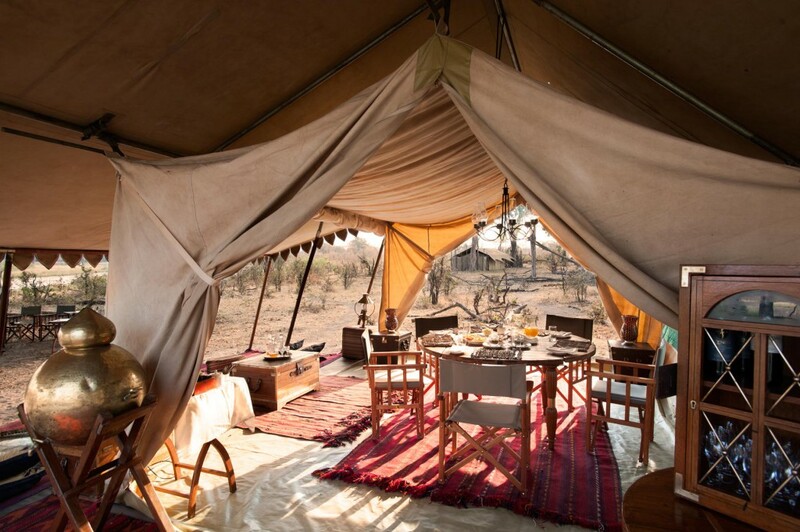 In summary, we think this camp is great value for money considering what it offers in terms of service, intimacy, its great location, impressive decor and game viewing. 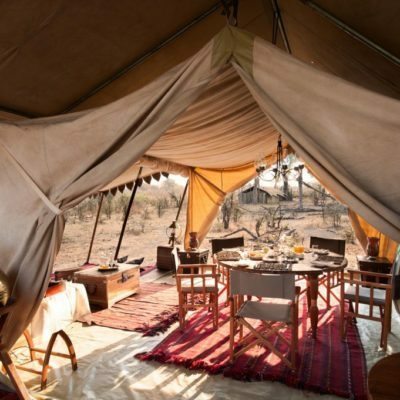 It goes without saying that we highly recommend it. 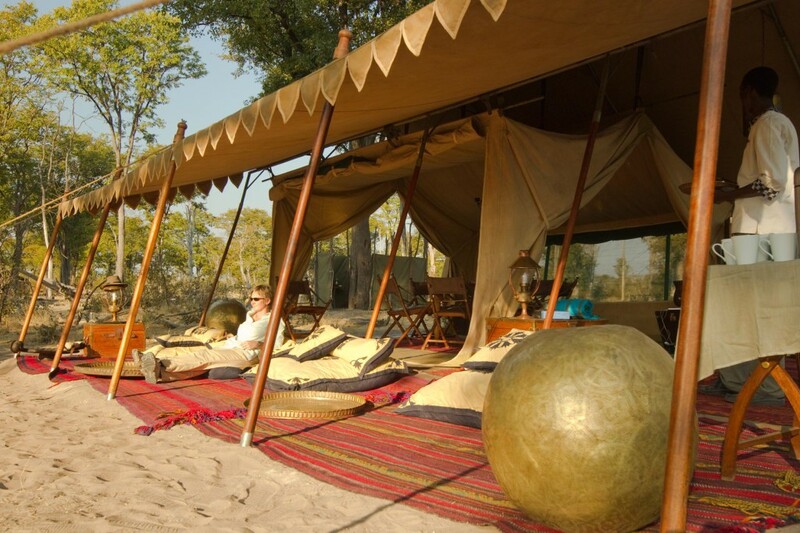 With just 4 “Meru” style tents, this camp remains extremely intimate. 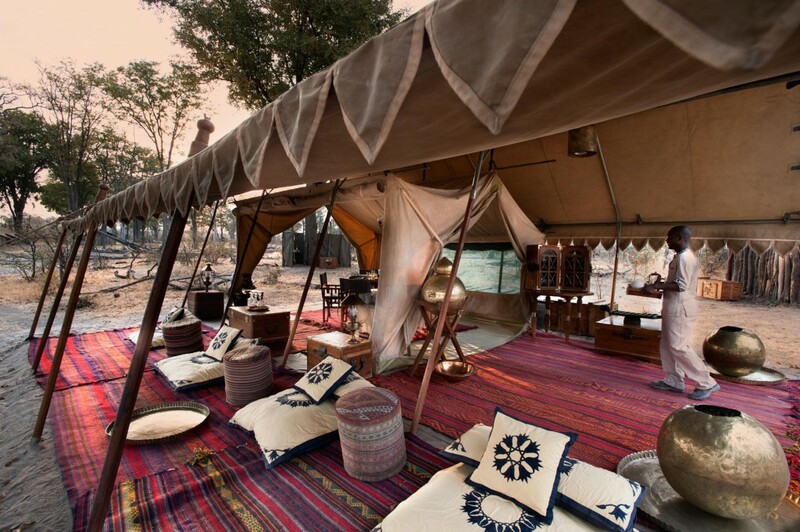 The decor in the tents and main area definitely has an East African “Zanzibarian” vibe to it and we think it is exquisite. 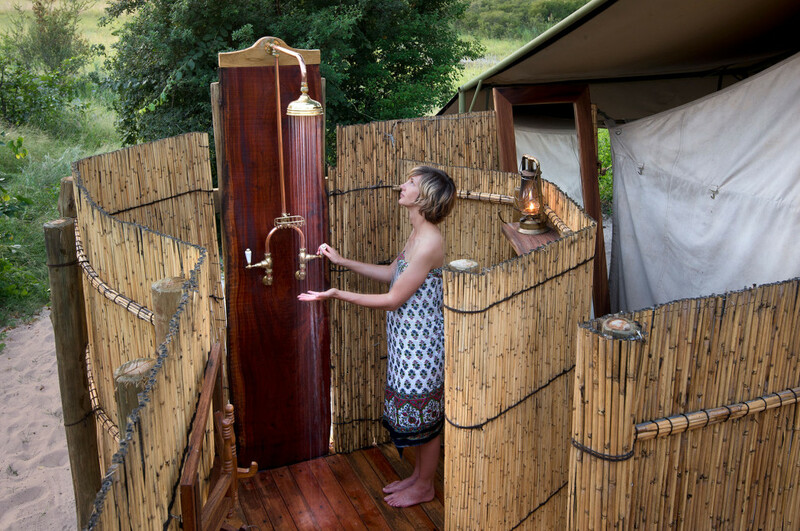 It all comes together to give the camp a relaxing feel and it fits in so well with what the camp has to offer. 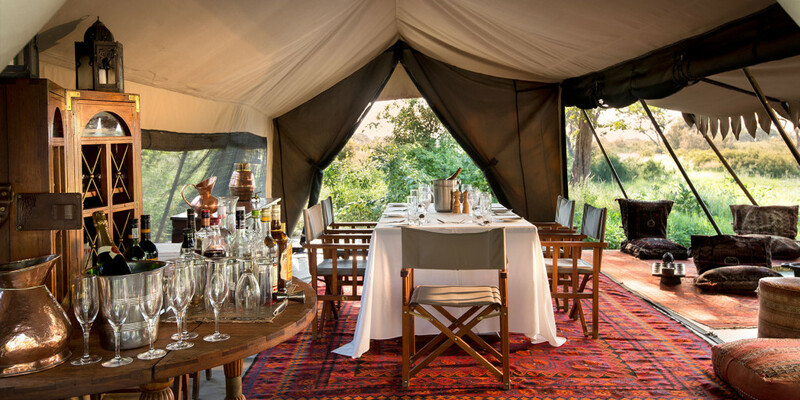 The dining and mess areas are open sided semi-permanent tents with a dining area, bar and a very comfortable Arabian style living area. 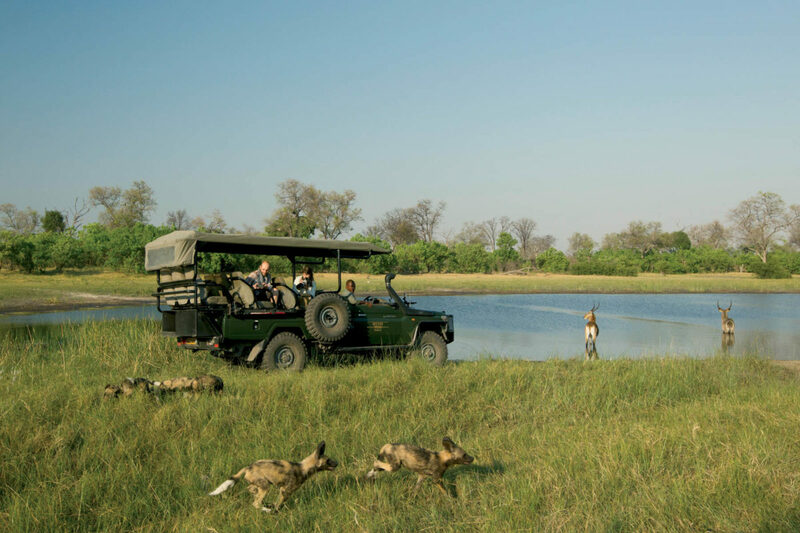 The Selinda Reserve is owned by Dereck and Beverly Joubert who have made several films for National Geographic about Botswana’s wildlife.